A community gas system may be what you are looking for if you are building homes and want to offer all the lifestyle advantages that only gas energy can provide. Propane Community Systems are identical to natural gas except they can be installed almost anywhere in the United States unlike natural gas. With a community gas system from Liberty Propane you get a scalable and flexible alternative ideal for just a few homes or very large developments. The big advantage for the homeowners is individual gas meters, so the homeowner only pays for the gas they use and there is no worrying about running out of gas. It’s a win for everyone when builder’s can offer homeowners the comfort and reliability of propane gas heating systems, fireplaces and appliances. 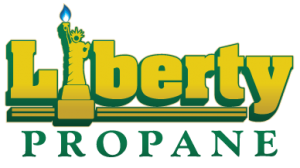 Contact Us today and find out more about propane community gas systems in Delaware and Maryland from Liberty Propane. Customer Service is Our business. There was just one hitch: It was too expensive to bring in natural gas….